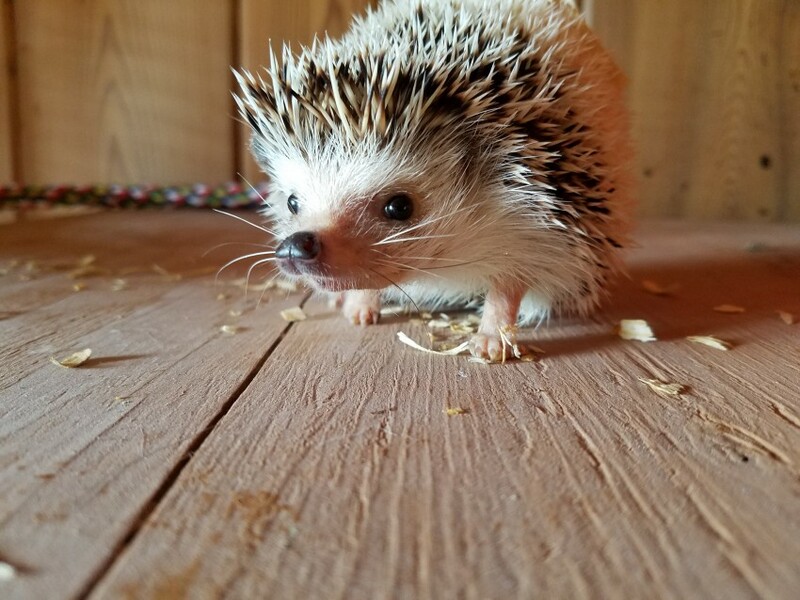 Exotic animal travelling zoo shows and mini petting zoos for your next event serving all of Wisconsin, Rockford, Chicago and everywhere in between. Birthday parties, school programs, Scout Programs, and special events. 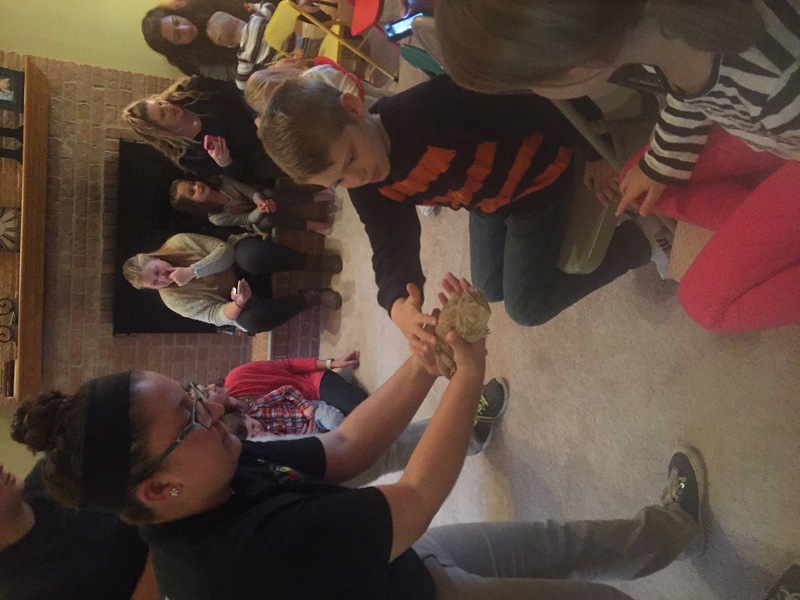 30, 45, and 60 minute hands on educational exotic animal shows. Mini petting zoos for any length event! We are fully licensed and insured. 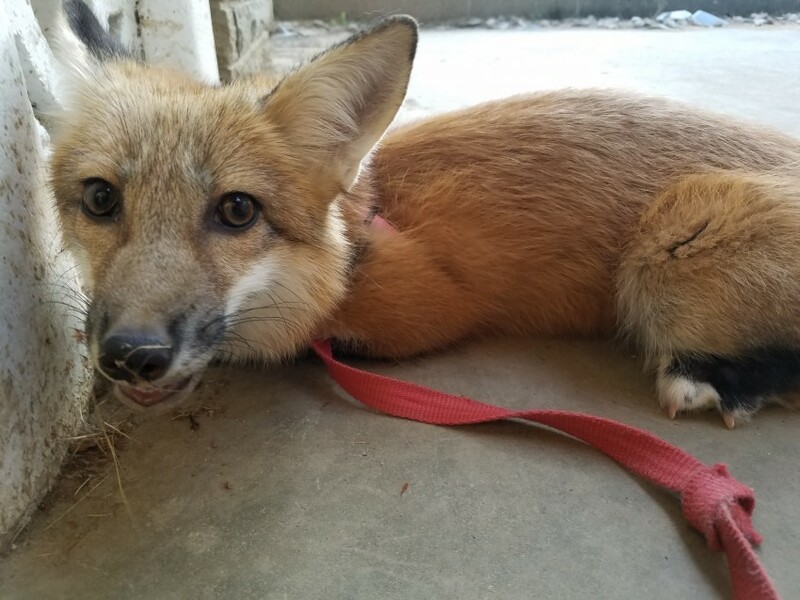 You can have everything from a Red Fox and Skunk to a creepy crawly Tarantula or a mini Pig at your next event! The majority of our animals can be pet or interacted with to make the event extra special! Great animal show, staff was very professional and knowledgeable about the animals. Animals were very cute. 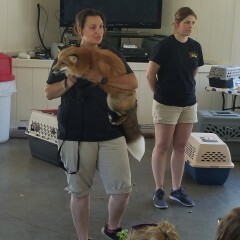 Want to thank Animal Express for a great presentation and showing of the animals! Kids were very excited for the event and enjoyed the experiance. Would diffently book them for another event. Everyone had a great time, and the people that came with were super friendly and helped my little one have a great birthday. Would use them again if the occasion ever arose! The Animal Express staff was friendly and accommodating. We booked them for a work event, and they were a huge hit. 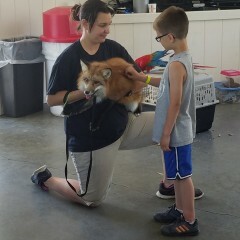 Both kids and adults loved the fury animals! So happy that we booked this company for our church event. They were great with the kids and everyone loved it. We will definitely have them back. Thank you so much! Thanks Wendy for making the community event over the top. Joel loved Daisy!!!!! I had the Animal express for my boys 8th and 11th birthday parties. Everyone had a great time, even the adults. It was fun and informative. I was very thankful for the excellent job both Wendy and Thomas did at our camp this past week. Their show/presentation was perfect for the elementary grade level of students. Their management with a large crowd was wonderful. 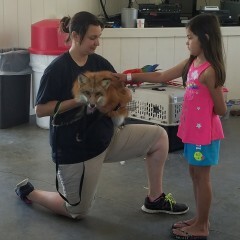 The kids really enjoyed the animals and the show...you helped make camp a great experience for them! They were easy to communicate with, reasonably priced, and made our event so much fun. Everyone had a blast and days later, I’m still getting comments from other parents about how much fun my child’s birthday party was! If you want an activity that’s entertaining for all ages, I highly recommend the petting zoo! 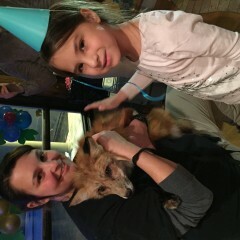 Animal Express was a wonderful addition to our kids' 8th birthday party. 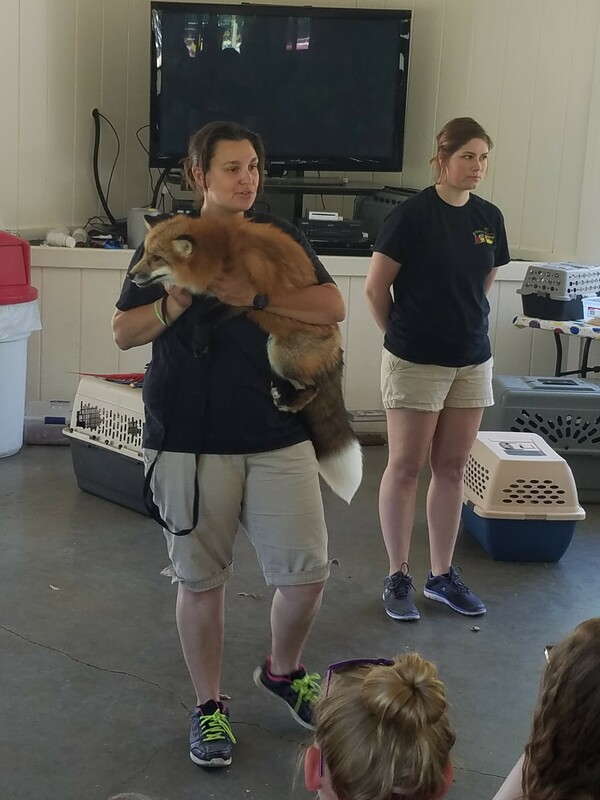 Not only were the animals great, but their handlers shared all sorts of interesting facts, which made the event event a fun, learning experience for everyone! The adults loved it too. 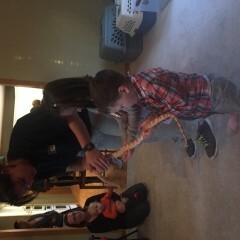 Animal Express was extremely professional and provided an amazing experience for all of the children at our event. 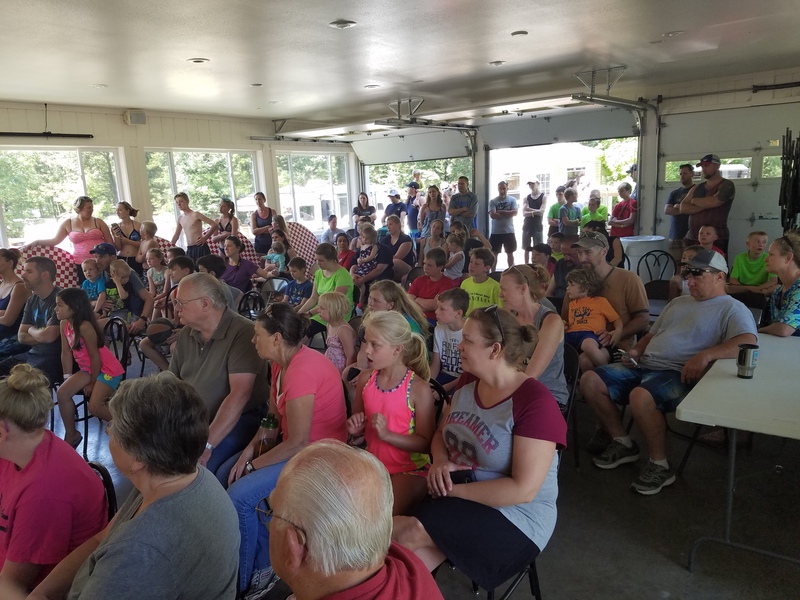 The station was well-maintained, at all times throughout the party, and Animal Express worked seamlessly with ensuring the safety of their animals while also ensuring the children had a great time. We will be using them again and recommending them to all of our friends. Animal Express was great. We reserved them for a Cub Scout pack meeting entertainment. Scouts, siblings, and parents loved it! Wendy was very patient with the kids, taught them alot about the animals, while also giving lots of opportunities for the kids to participate and pet the animals. Her communication/coordinating with me prior to the event was very reassuring too. Made my son's birthday party amazing! They arrived on time and were very professional. Set up was quick and the kids LOVED the animals! It was a wonderful birthday party! It was great, and I will get them again!!! I only wish the animals would had been separated to have one on one incoutours. Some kids were afraid of a certain animal but loved another and was afraid to go in. And also would had been better if it was set up before kids showed up. But orher than that it was very nice to have some animal's in the yard. Brought a smile on everyone's faces. The show was for a group of special needs students. 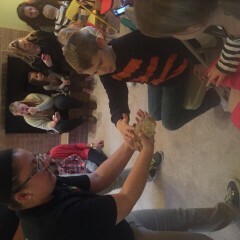 Presenters were knowledgeable and sensitive to students who did not want to touch the animals. The kids really enjoyed the event. I would have them come again. 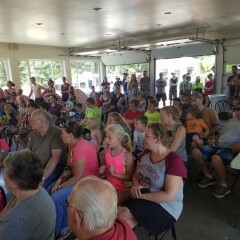 We had a great show as an activity at our campground, everyone was intrigued from little kids up to much older adults. Everyone said it was a hit that attended as well. Very educational and interactive, just what we were looking for! 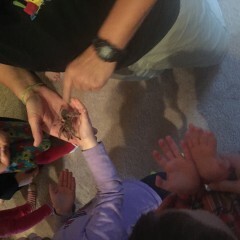 Everyone enjoyed seeing, petting, and learning about the animals! Lots of information was provided during the visit about each animal. Great learning experience and the kids were thrilled!! Would definitely recommend this for anyone looking to have an animal experience! 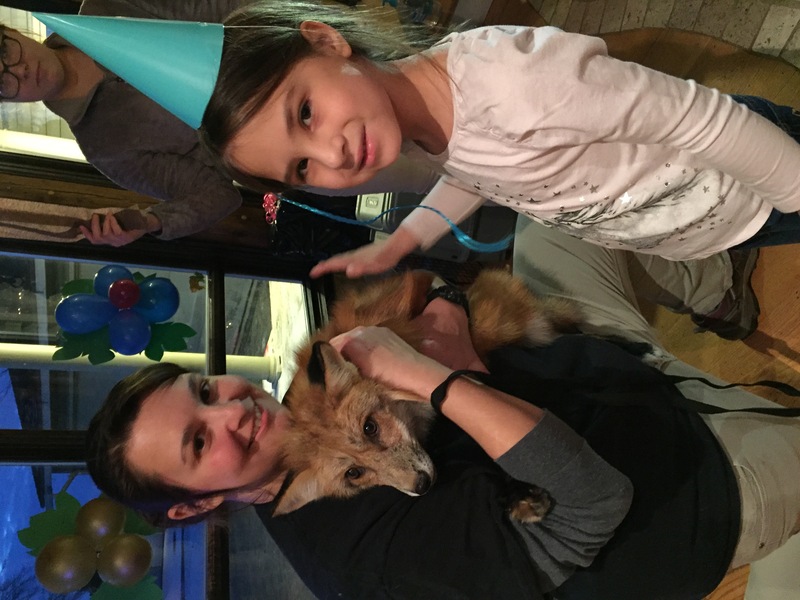 We had The Animal Express for our older daughter's birthday party (7yo) and our younger daughter enjoyed it so much she wanted them for her birthday party. 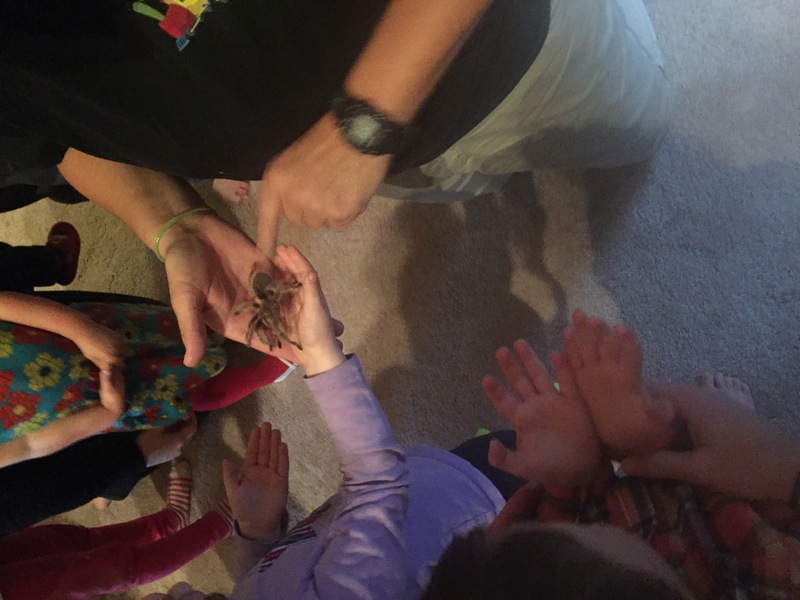 So when she turned 6 years old we invited the class of kindergartners over and The Animal Express was the perfect entertainment again! I would recommend them to any family looking to do something engaging and educational. The kids (and adults) loved it! On time, happy, informative and professional. Great for Cub Scout Blue and Gold! Wendy and Lexi (and friends) did a fantastic job maintaining the attention of about forty 5-11 year-olds for about 45 minutes. The older "kids" enjoyed it too. The show was not too short nor too long--a perfect length. Thank you ladies! Kids enjoyed everything, people were super friendly and really nice to work with and plan the event. They were flexible and very knowledgeable as well. Thank you so much Wendy for making our daughters party an adventure! 12 5/6 year olds can be a lot to handle and you did a fantastic job at keeping their attention! Thank you so very much! Thank you so much for the wonderful review! They were a great group and we were glad to be a part of her special day! Thank you very much we were excited to be a part of your assembly! 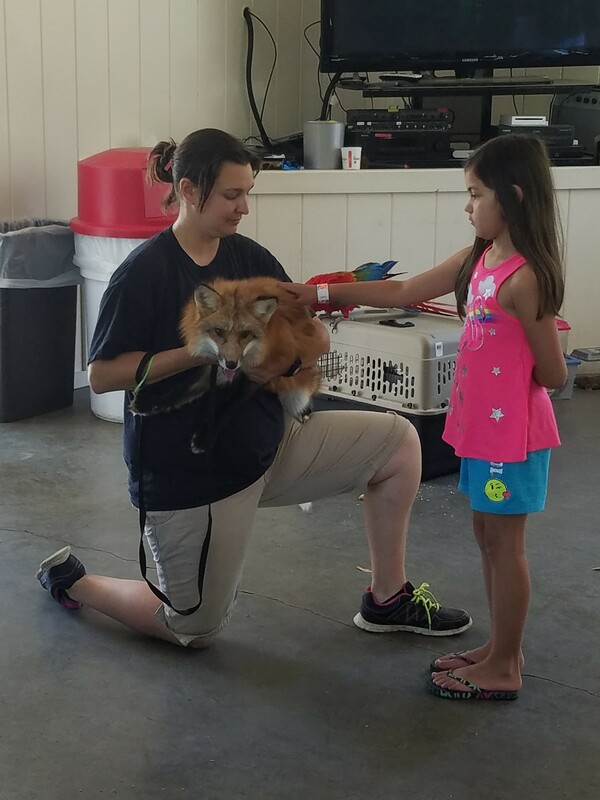 Animal express was very professional and it was a worry free booking for my daughter's third birthday party. Especially impressive that they were able to get 15 toddlers to sit and listen for 30 minutes while making it fun and making sure they all had a chance to pet each animal. Would definitely recommend. Thank you so much for the wonderful review! The kids were great it was our pleasure! Animal express was polite, responsive and accommodating throughout the booking process. At the show (my sons 3 year old birthday party), they accommodated a variety of ages of kids. The ladies running the show were knowledgeable and shared their enthusiasm for the animals with the kids. Fun event for kids...and adults! Highly recommend! The Animal Express was perfect for our 7 year old's birthday party. We had her entire class and the Animal Express team did a great job engaging the group. It was the perfect combination of exciting and educational. The children and the adults loved it! Thank you so much for having us, we are very glad to hear it was enjoyed by all!! 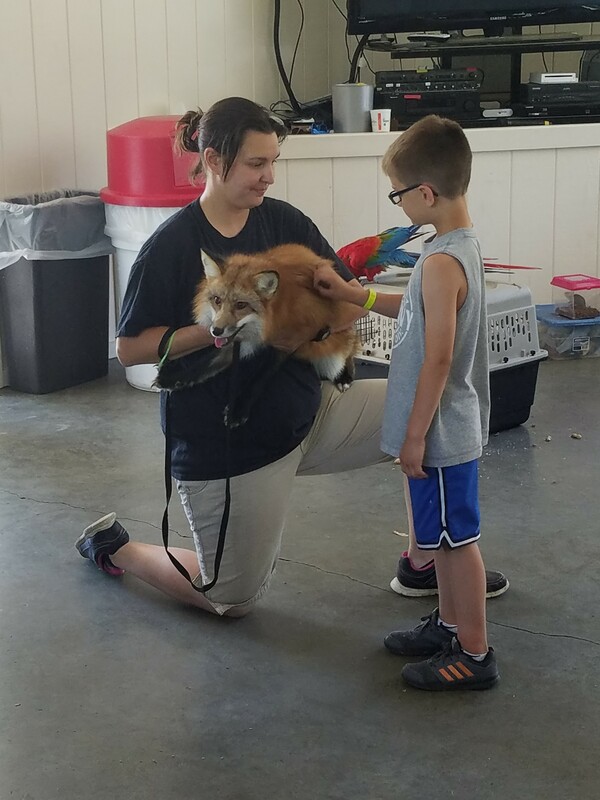 They were on time, the animals were awesome and the kids loved it! Thank you so much I am so glad they enjoyed it, we were happy to be a part of your birthday suprise! 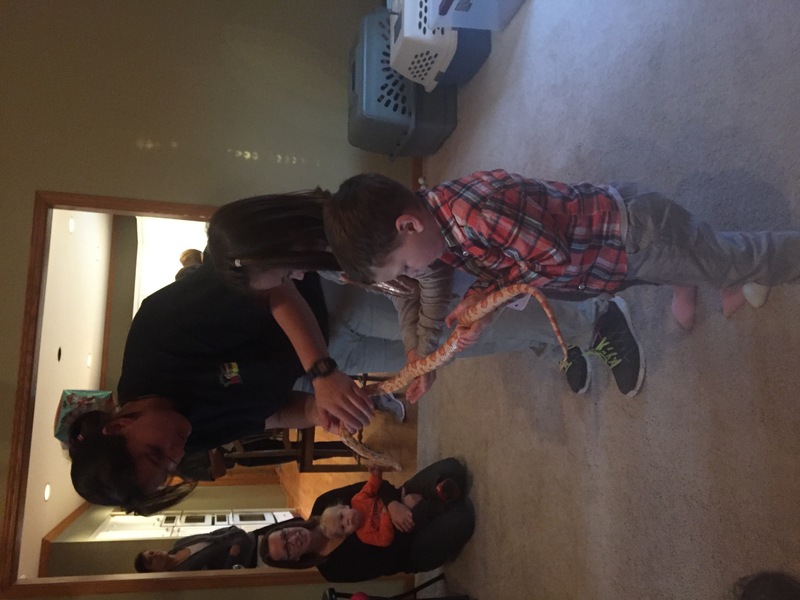 Recent review: The kids had a great time seeing and holding the animals! A very memorable birthday! Recent review: Worked with our large group well. On time and very educational. The kids loved it!